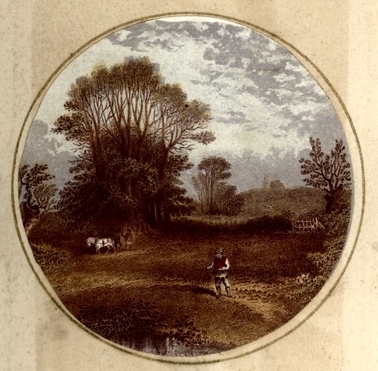 Vintage colored drawing of farmland. This circular landscape image is copyright free and in the public domain since it was published all the way back in 1858. It is from The Seasons of the Year, published by Thomas Nelson & Sons.